The beautiful Hanging H Ranch just west of Sutherland, Nebraska was the site of the 15th annual Nebraska Cattlemen's Ball on June 7 and 8. 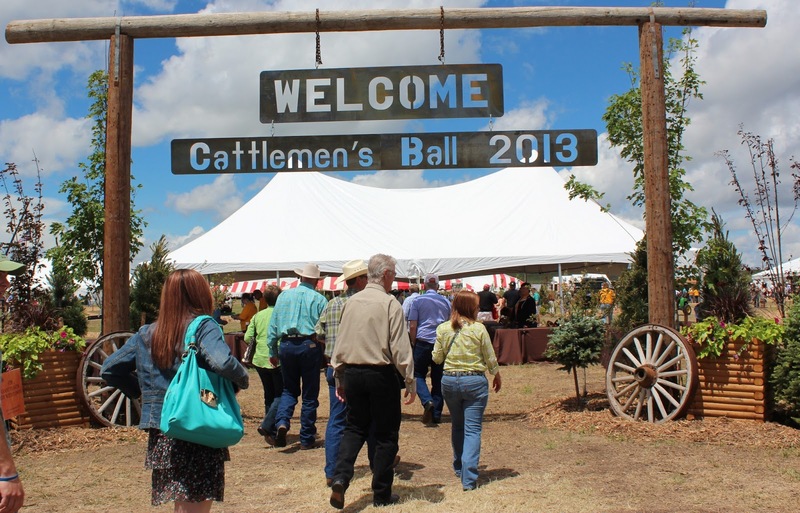 Over the years the Cattlemen's Ball has teamed up with the Eppley Cancer Center and raised over $7 million for cancer research while promoting beef in a healthy diet and showcasing rural Nebraska. 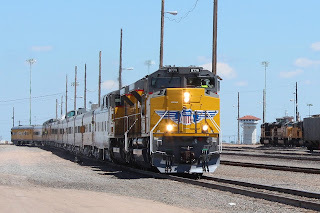 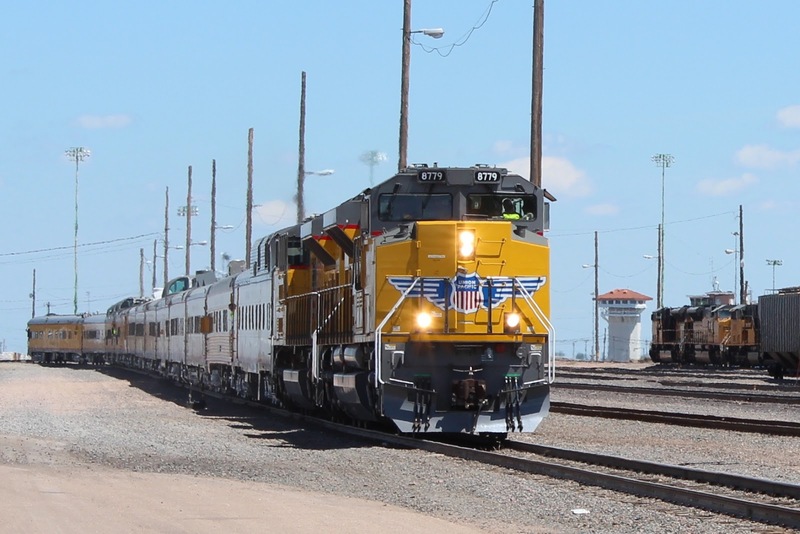 It sure lived up to its mission in 2013, with the Union Pacific Railroad even bringing in a special train from Omaha with VIP's on board to attend the Ball. 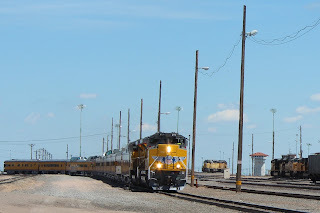 The Golden Spike Tower and Visitor Center can be seen in the background of the above photo of the special train arriving at Bailey Yard. Below, with 4,000 visitors expected for the Ball, a pasture at the Hanging H Ranch was turned into a parking lot, with shuttles from Farm Credit Services providing transportation to the gate. 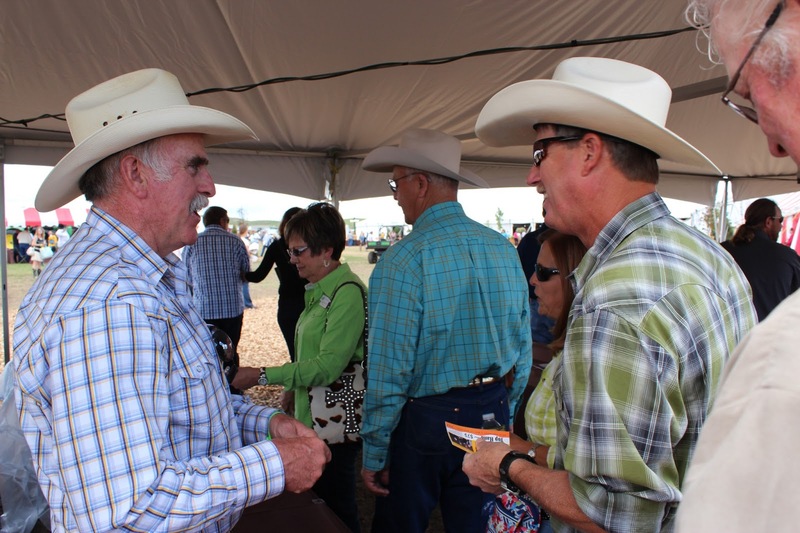 Ralph and Beverly Holzfaster and Neal Hansen, hosts for the Cattlemen's Ball, made sure guests felt welcome from the moment they stepped onto the grounds. 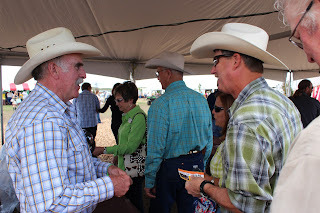 Lots of friendly faces greeted visitors in the ticket tent. 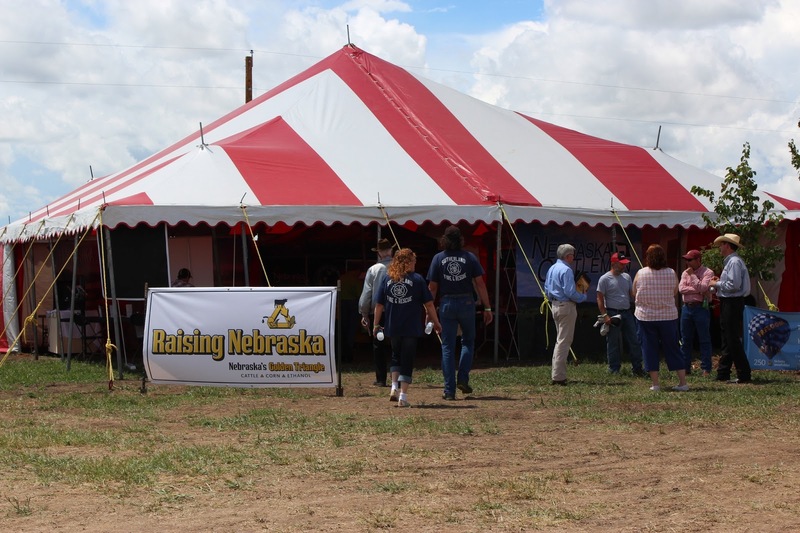 Local residents from the surrounding communities from North Platte to Ogallala and Grant to Arthur volunteered to help make the Ball a success. 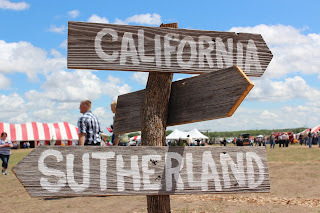 Just in case guests had a little too much liquid refreshment and didn't know where they were, helpful signs pointed the way. 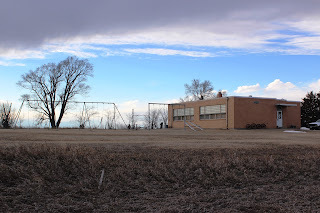 Does rural Nebraska know how to throw a party or what? 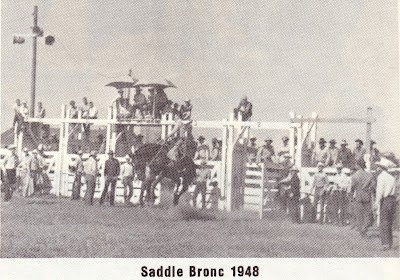 Thousands of people packed the main saloon tent for non-stop entertainment throughout the day. As rain showers moved through for most of the day, these tents were very popular. 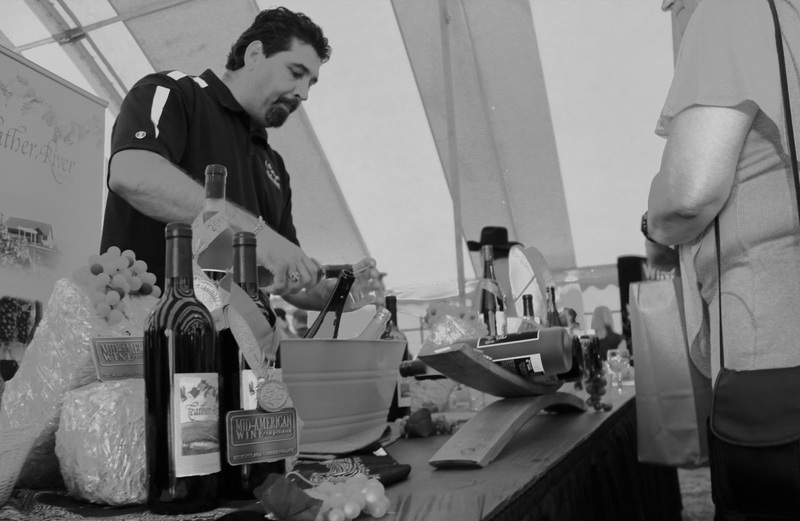 In the Art and Wine tent, North Platte's Feather River Vineyards showcased their award winning wines. 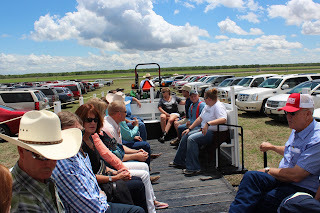 Having this many folks enjoying a great event on a rural ranch in western Nebraska was a perfect opportunity to educate about Nebraska agriculture. 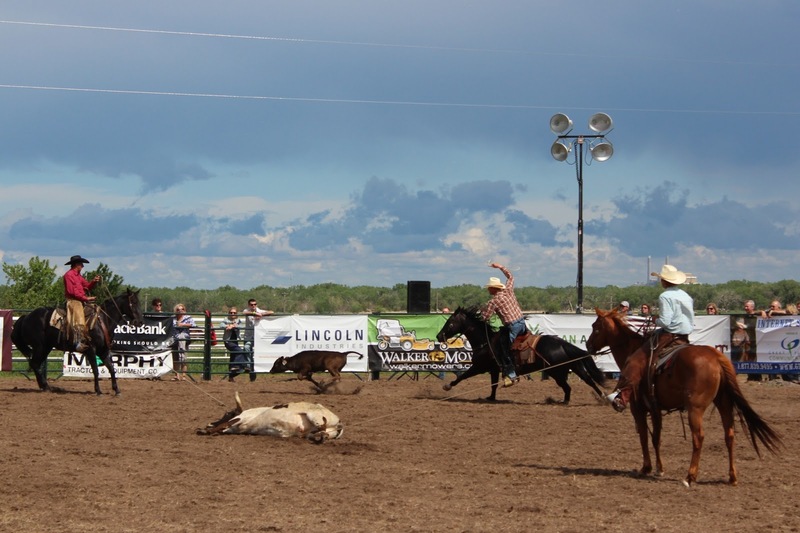 New to the Cattlemen's Ball in 2013, and a very popular event, was the Ranch Rodeo. 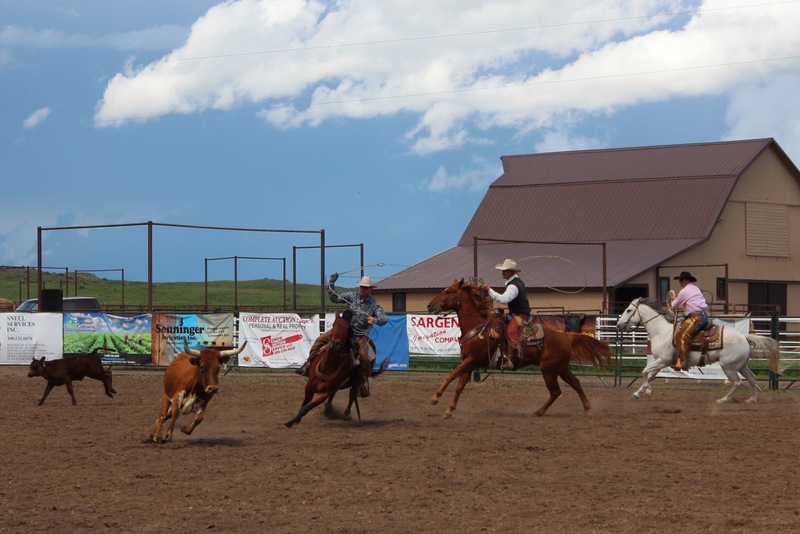 Here cowboys from several local ranches compete in events that showcase the skills they need every day to do their jobs. Below, both a mother cow and a calf need doctored, so the mama is immobilized while the calf is still on the loose. The beautiful Hansen Ranch and the still-stormy skies of western Nebraska are the perfect backdrop for this event. 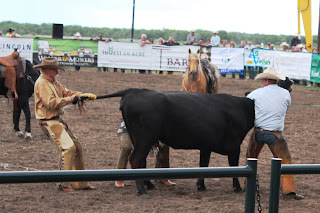 Every now and then, a baby will need supplemental feeding, so these wild range cows will need to be roped and milked. 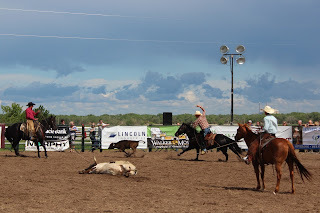 Not an easy task, but these cowboys showed how it's done. A live auction and a delicious Prime Rib dinner and a concert by Lonestar finished up the evening. 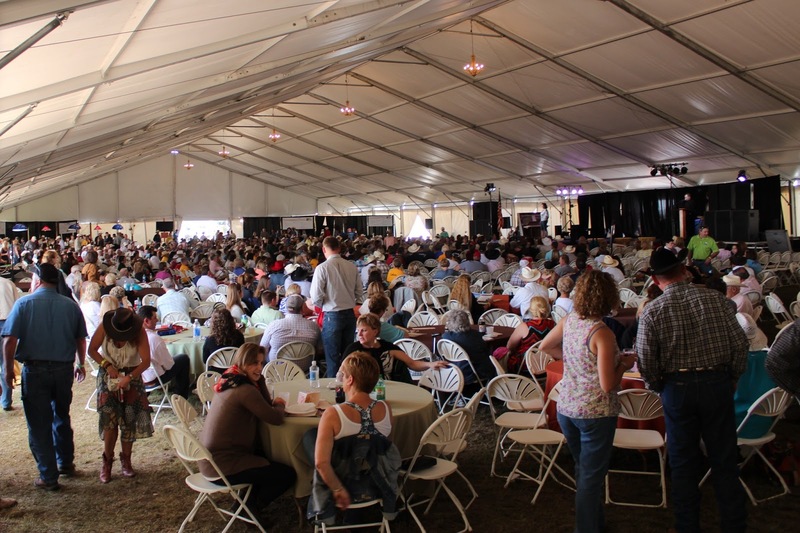 Organizers hoped to raise $2 million for cancer research, and through the generosity of bidders, I'm guessing they came close to or exceeded their goal. 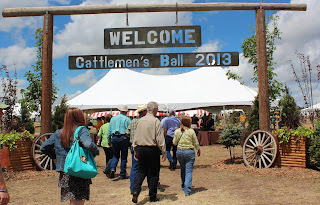 If all of this looks like fun and you'd like to participate in 2014, the Cattlemen's Ball will be held on the Hoot Owl Ranch in Harrisburg in the Nebraska Panhandle between Kimball and Scottsbluff.